This basement window was repaired by our preservation department in 2013 and shows how the new sashes will look in the other basement window openings. In the coming weeks the basement window openings, or apertures, will receive newly milled and glazed window sashes. Such a change may raise the question, “I thought Drayton Hall is supposed to be preserved as it was received from the Drayton family in 1974, right?” Yes, that is exactly what Drayton Hall’s preservation team is doing day-in and day-out. Although glazed windows were not present in the majority of basement apertures in 1974, the intact original window frames clearly indicate the use of single-hung window sashes. 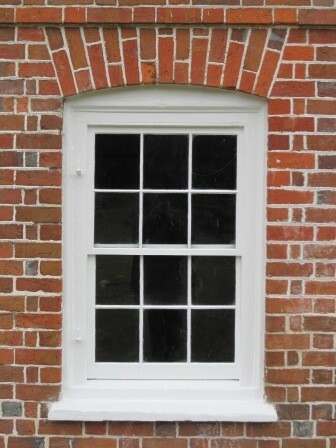 Artwork and photographs illustrate that windows were in place until the third quarter of the 19th century, after which batten shutters are seen on the basement apertures. Our new sashes will be perfectly shaped to fit in the frames with little to no change of the original material. This addition without alteration will enable us, if necessary, to easily remove the sashes, and return the exterior view of Drayton Hall back to 1974. The installation of the window sashes will allow more natural light into the basement, while also doing a significantly better job of keeping rain out. The additional light will enable us to open the now dark rooms and allow guests to see more of the house. The images below show the changes made to Drayton Hall’s basement in the late 19th century. The first photo, taken after the Civil War, shows the house possibly undergoing restoration. The second photo, taken in 1879, shows the replacement shutters in the basement. 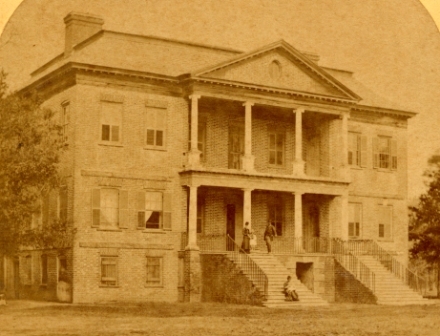 Circa 1869, this stereograph is the last known depiction of Drayton Hall with basement windows and shows the house undergoing a possible restoration. Image by G.N. 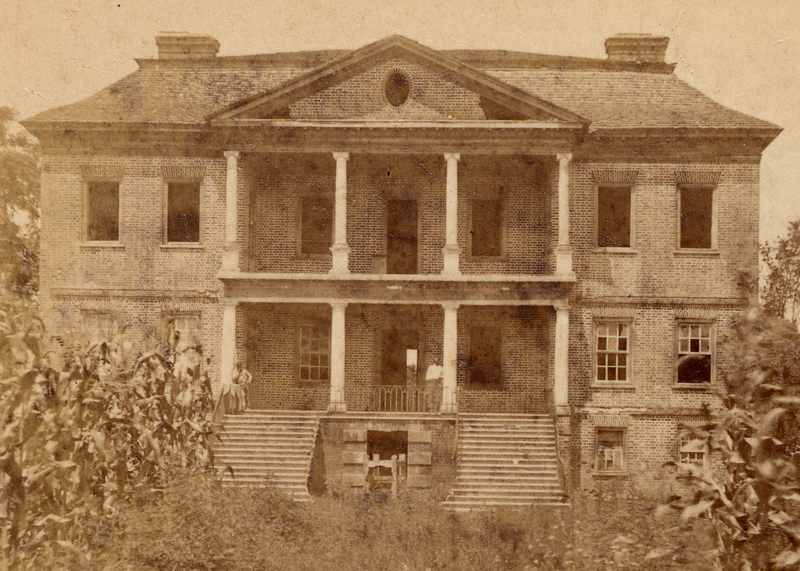 Barnard, courtesy of the Drayton Hall Photograph Collection. This image from 1879 was the first depiction of Drayton Hall with batten shutters on the basement windows. By B.W. Kilburn, left image of stereograph card, 1879, Drayton Hall Photograph Collection.